Did you know that Rwanda has the most women in parliament in the world? Or that no country has as many pizza eaters as Norway? 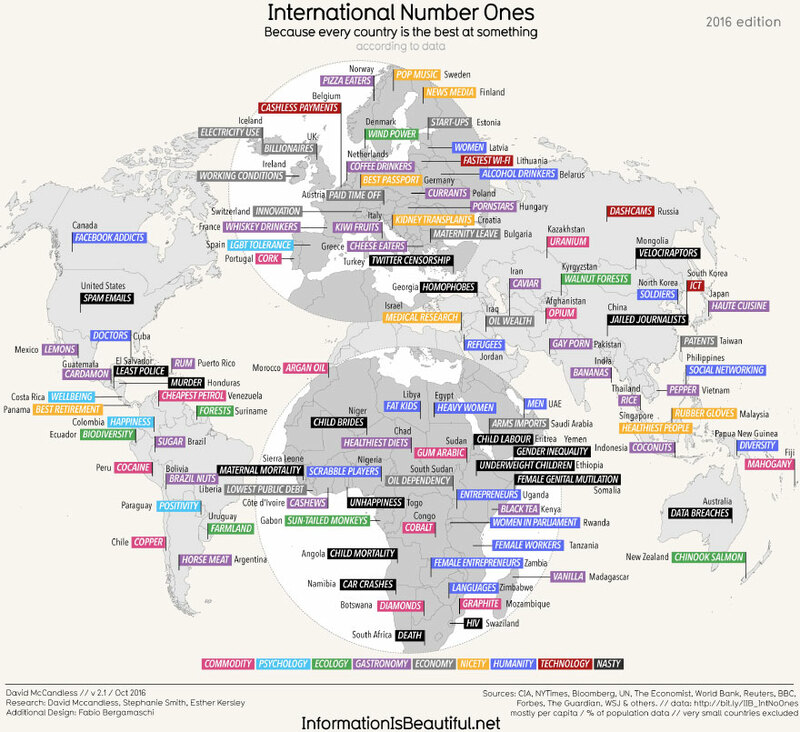 David McCandless from InformationIsBeautiful.net has but together a map that reveals what countries are best at and it will definitely raise a lot of eyebrows.